My group that I played minis with back in St. Louis was rather competitive. They always wanted to be at the very top of their game for when going to tourneys. The issue they were looking to avoid was being "a big fish in a small pond." That is, they wanted their skills to be good enough to compete on large-scale events. As such, they had to adapt to all sorts of new styles and metas in order to keep up. 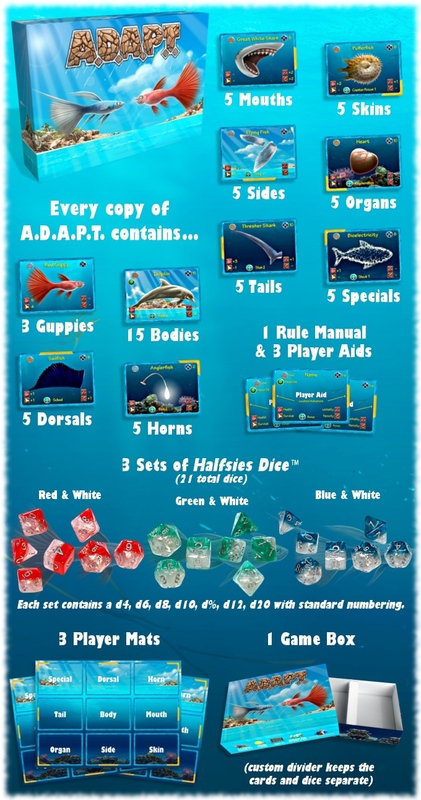 Well, being a big fish in the big sea and adapting to make sure you survive is the whole premise behind A.D.A.P.T., a new card and dice game by Gate Keeper Games that's up on Kickstarter now. In the game, each player is a little fish in a big sea. It's a rough, watery world out there. You'll have to change quickly in order to keep up. 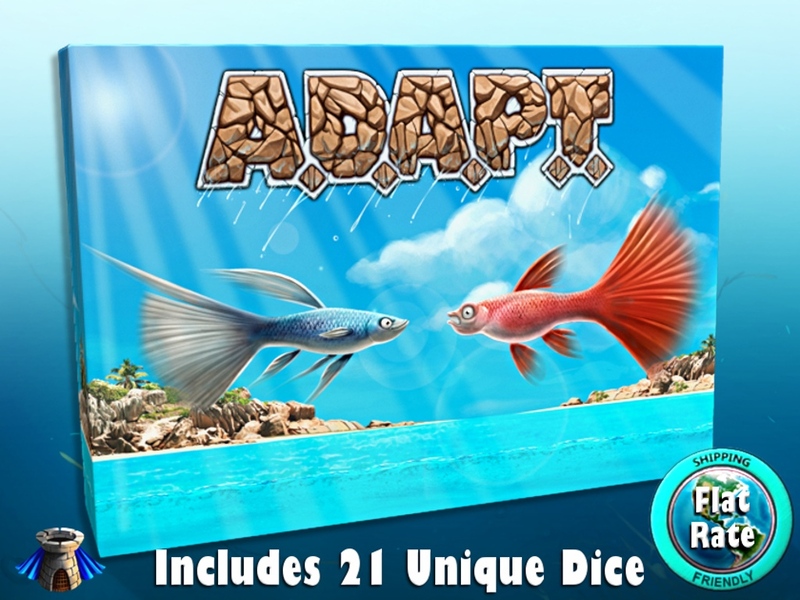 Buy upgrade cards for various different aspects of your fish and fight against your opponents to see who is the apex predator and who is lunch. They've also got a bunch of extra packs of adaptions that you can add to your pledge in order to expand your options. You can also get more dice... because you can never have enough dice. The campaign just launched and is set to run for another 31 days.